CONTEST IS NOW CLOSED. SCROLL TO BOTTOM TO SEE WHO WON! To celebrate Mother’s Day, Marco has decided to offer a beautiful one-of-a-kind cameo as a prize to the winner of a our drawing. 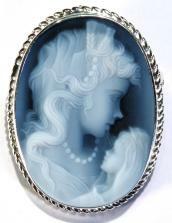 This stunning Maternity, mother and child Brooch and pendant together, first quality blu agate cameo, sterling silver set in the Venetian style representing mother with a child. Valued at €125 this beautiful cameo can be yours by entering this contest. “A cameo is a piece of art, is a part of Italian history, something for the life, something that you can use but almost something that pointed out your taste for elegance and grace.”Not all cameos are alike. Some are not even authentic and instead are fake. Click here to learn how to spot the differences. Shell cameos must be hand crafted because the shell presents an uneven surface unsuitable for a machine-engraving.In addition to this the shell could easily break with a machine cut. • Cassis Madascarensis: so called “SARDONICA”, hight appx 30 cm. ; chestnut brown on the bottom and perfectly white on the surface to be engraved. Shells from the Cassis Family are particularly adapt for engraving: in fact, the two layers of of color, clearly distinct from one another, allow the relief figure to stand out in the best way. 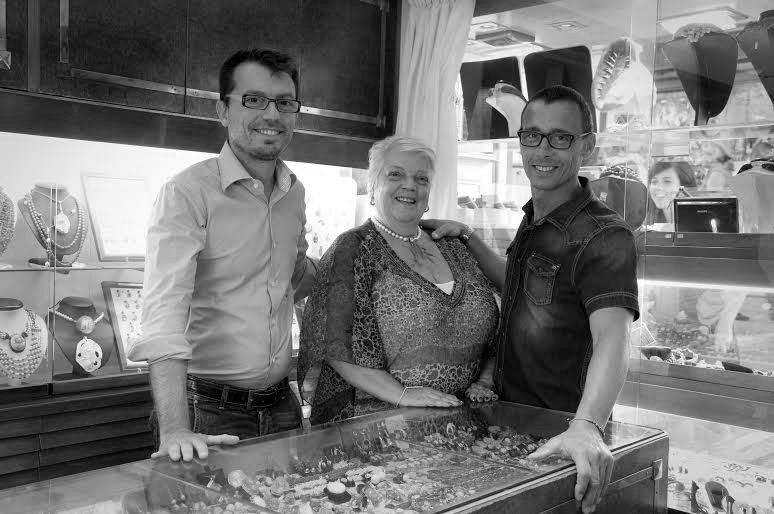 One of the most unique aspects to Eredi Jovon is Marco’s “portrait cameos customized.” Marco can create a custom portrait cameo made directly from your photos or digital files. Stay up-to-date with Marco by subscribing to his newsletter. 2- If you are not doing so already, follow my blog, by simply clicking on the “Sign Me Up” button in the upper right-hand corner of this blog page. Once you have executed the previous steps, leave a comment below to let me know you have entered the contest. Leave your email address so we can contact you if you win. The competition is open to everyone, worldwide. Prizes will either be sent from Italy to a valid address or delivered by me after I return from Italy in June. 3 Raleigh Hussung is the winner!! Congratulations, Raleigh! 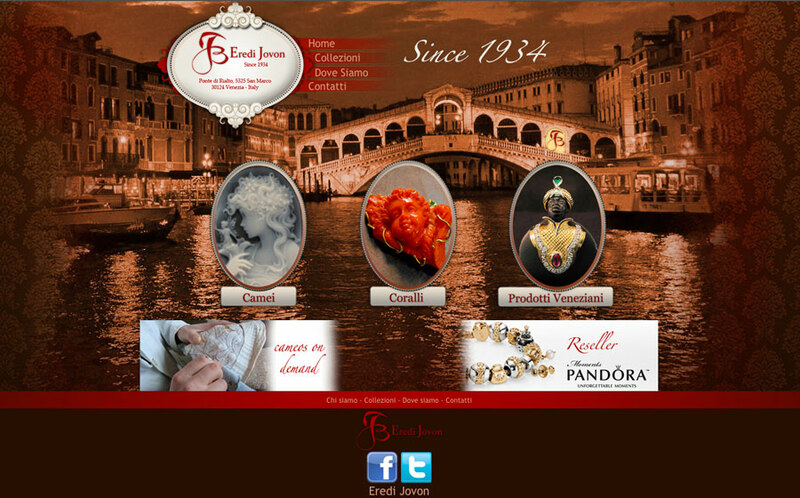 This entry was posted in Art, Made in Italy and tagged cameo, cameos, Contest, Eredi Jovon, jewelry, Made in Italy, Rialto Bridge, Venice. Bookmark the permalink. How do you enter the contest if you do not use Facebook or Twitter? I should have read the entire piece before liking and sharing. Then I would have known to enter the hashtag. At any rate I find this a novel idea and great for increasing readership. You need a great product but you also need to reach the market. By the way, it was a great idea to include the piece on how to check for fake cameos. I have an antique beauty that first belonged to a lady born in 1907. She gave it to my Aunt, her friend, in around 1940. Eventually it came to me. It is gorgeous. Sometimes I set it on the desk so that I can look at it. If I wear it I can’t see it so I use the desk I work at to enjoy it. We also enjoy promoting fine artwork Made in Italy! Margie, I have a cameo from a visit to a cameo shop in Naples. It is run by two brothers. I was fascinated to watch them at work making these lovely cameos!! Each one is unique. I had barely heard of them before stumbling onto this shop. This is great. 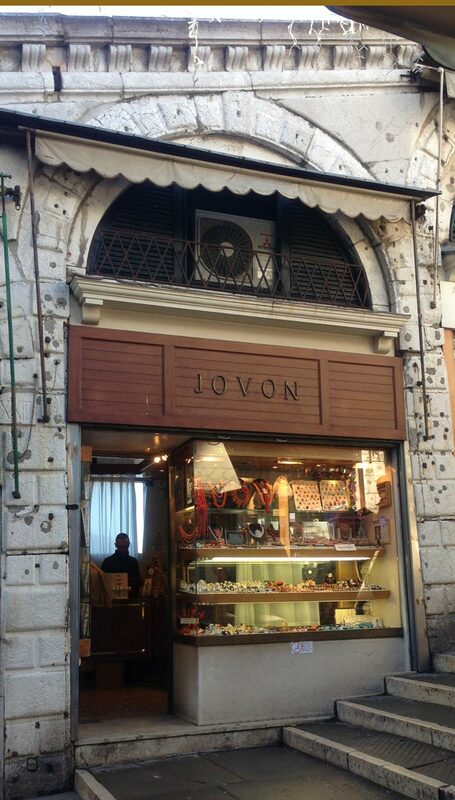 It’s very hard to get an authentic hand crafted cameo from Venice, and to get it for free is like out of this world. Those cameos are just so beautiful and classy, a true art that represents the class and elegance of Venice. Good luck to those who would join!